The City has been the bread and butter model for Honda India. Though they have smaller cars on sale too, it is the City that has kept them afloat when it comes to volumes. It has created a strong brand name for itself and was the most selling sedan in its class for the longest of times. However, ever since the Ciaz has entered the Indian market, there has beeen a very close battle between the two. The City is three years old now and a facelift is scheduled for sometime next year. 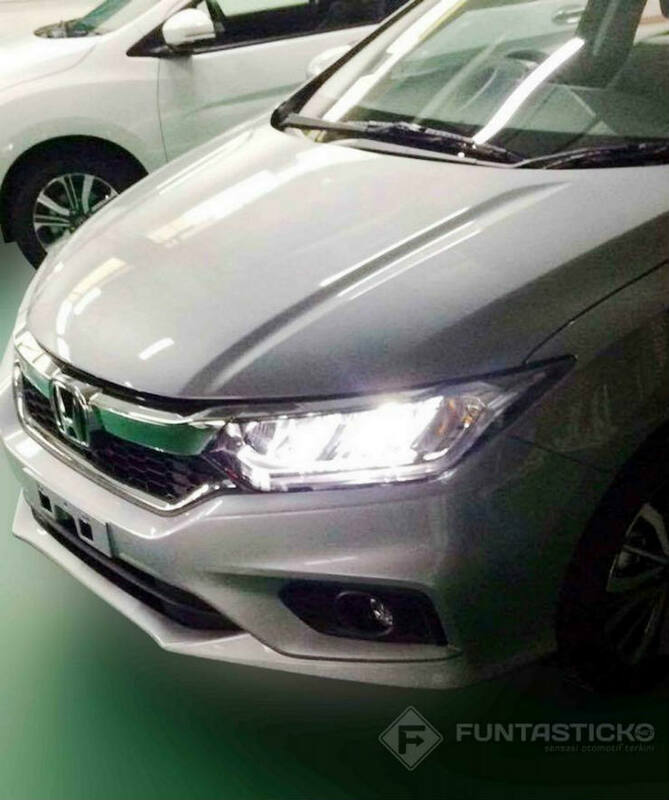 Since the City is also sold in other markets too, a picture of the facelift was leaked ahead of its official reveal. While the company had released teaser images before, this one gives you a clear indication of what has changed. Looks wise, the main difference that you now see is the fact that the car has LED headlamps, something no other vehicle in its class gets. It will also be getting LED fog lamps, another segment first. There is an all-new bumper and a newly designed grill. On the side, a new set of alloys are on offer. At the back, the tail lamp cluster has been revised, and now features a clear top portion. There is an all-new bumper on offer too and a rear lip spoiler with the central brake lamp. On the inside, based on the variant selected, you get an intrument cluster with white backlight, a 6.8″ touchscreen display with reverse parking camera and 3 adjustable head rests at the back. The same touchscreen system will also get navigation and the ability to sync with your mobile phone (Android Auto and Apple Car Play). Under the hood, the same 1.5 liter petrol and 1.5 liter diesel engine are on offer. 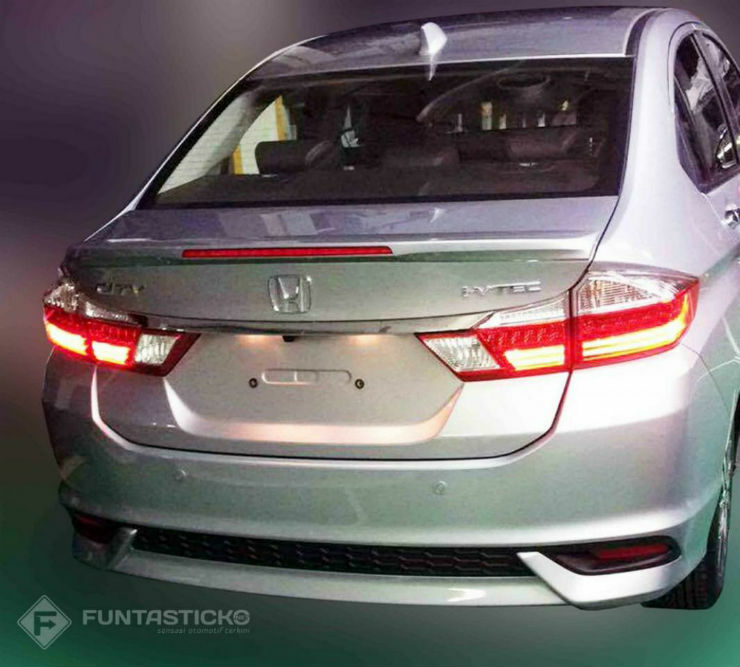 Honda has been testing the hybrid City in the country and there could be a possibility that the company could bring in a mild or a full hybrid City to take on the Ciaz, which has the mild hybrid option. We expect the City to come into the market sometime early next year. Competition is going to be tough since Hyundai will also be getting in the new Verna by mid next year.